recent articles as they are published, and access the archives for previous work. These citations are listed in reverse chronological order. Wessan, L. (2018, Sept/Oct). Walk and Talk Therapy: Moving Towards Wholeness. Social Work Voice. 16-17. Wessan, L. (2017, December 4). How to Improve Your Interpersonal Effectiveness. The Lighter Side of Transformation. Retrieved from https://mirthmaven.wordpress.com/2017/12/04/how-to-improve-your-interpersonal-effectiveness/. Wessan, L. (2015, December 12). 'Tis the season to connect with the Numinous! PULSE. Retrieved from https://www.linkedin.com/pulse/tis-season-connect-numinous-lisa-wessan-licsw?trk=mp-author-card. Wessan, L. (2014, April). Deconstructing the Hoarding Spectrum: A Holistic Approach (Part I of II) FOCUS Journal. Vol. 41, No. 4. FOCUS Journal. Vol. 41, No. 5. Wessan, L. (2013, September). Preventing Compassion Fatigue. FOCUS Journal. Vol. 40, No. 6. Wessan, L. (2013). Using Humor and Laughter in Therapy. Focus Journal. Vol. 40, No. 4. 3,11. Perry, K. (2012, July 10). Got Clutter? Cleaning out your closet can lead to a happier life. The Chelmsford Patch. Retrieved from . https://patch.com/massachusetts/chelmsford/got-clutter-cleaning-out-your-closet-can-lead-to-a-happier-life. Tuttle, N. (2008, August 31). Laughter Therapy. Video of Lowell Sun staff, retrieved from https://www.youtube.com/watch?v=x13kAb478tE. November 3, 2011 – THE CONCORD JOURNAL – Reiki Master to present workshop. December 17, 2010 – THE NORTH ANDOVER CITIZEN – Inspirational humorist speaks at St. Gregory’s. June 3, 2010, THE JEWISH JOURNAL, The Qutbi Masjid and Congregation Shalom Team Up for a Community Health Fair. January 3, 2010, The Boston Globe, "Life, Free from Clutter" by Cindy Cantrell. June 25, 2009, The Chelmsford Independent, "Lisa Wessan is Recycling Champion of Chelmsford" by Bonnie Rankin. The Society for Ladies Who Laugh Out Loud. "First Ladies of Laughter" article, Vol. 4:7. New York Daily News, October 27, 2004, "The Laugh that Heals," by Carol Forget. November, 2008 - NASW NEWS (National Association of Social Workers), "Social Work in the Public Eye" by Paul R. Pace. October 14, 2008 - 30 minute radio interview with host Bob Ellis on The Sunrise Show. May 28, 2008 - One hour radio interview with host Elizabeth Foley on The Phoenix Hour (scroll down to The Phoenix Hour, 5/28/08). May 12, 2008 - One hour radio Interview - Declutter Your Heart & Home - with host Debby Hoffman on WKLX 1450’s Community Business Connection. Aired multiple times throughout the Concord NH area. Hear it on http://www.wkxl1450.com. with Boston host Jordan Rich, guest Jay Uhler cites helpful tips from Lisa's workshops. Read the transcript here. The Merrimack Magazine Talk Radio Show , WCAP-AM (980 AM). Hear it on http://www.980wcap.com. Savard, R. ( 2008, January 4). Giggle, chuckle, cackle or snicker -- it's all good. The Lowell Sun. Shrink Rap, January 2, 4, 9, 11, 16, 18, 23, 2008, "From Clutter to Clarity with Lisa Wessan" with host Edna M. Lezotte, D.Min., LICSW and Szifra Birke, M.S. Somerville Journal News, Somerville, MA, July 11, 2007, "From Clutter to Clarity"
"Clutter: What is it good for? Absolutely Nothing." by Jim Sullivan. Merrimack Valley Happenings, the newsletter of the Merrimack Valley Economic Development Council, June 6, 2007, "From Clutter to Clarity"
"National Pastoral Care Week celebrated with series of events Oct. 22-28"
IRC Newsletter (InterReligious Council of Central New York), Syracuse, NY, September 2006,"Pastoral Care Day Explores 'Healing Humor' "
Hospital and Health Update, "The Science Behind the Smile"
CNN News, "Paula Zahn Now," March 10, 2005, "Laughter is the Best Medicine." Lisa Wessan Brings Team Building with Laughter to Rhode Island. PR LOG, March 10, 2013. Lisa Wessan “The Shamebuster” Speaks on Clutter in Chelmsford. PRLOG, July 3, 2012. 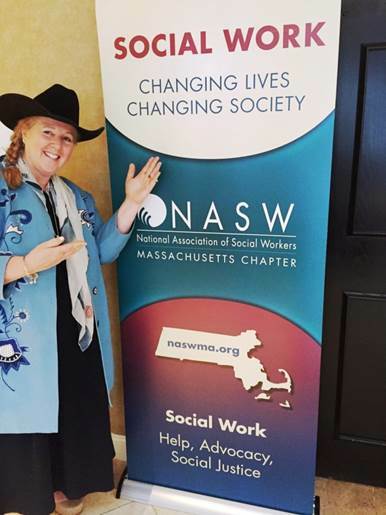 Lisa Wessan presents Laughter Therapy for Neuropathy Association, Weston, MA, PR LOG. September 14, 2010. Lisa Wessan invited to be Ambassador for National Speakers Association (NSA) THE PR LOG, September 6, 2010.